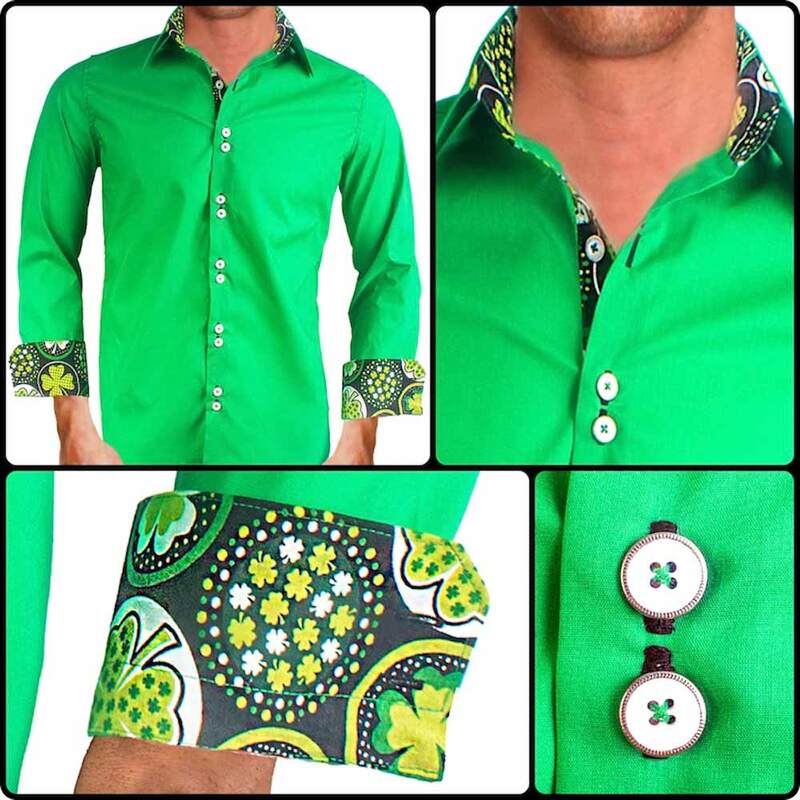 St Patricks Day Dress Shirts were not a common thing just a couple years ago. We started manufacturing dress shirts in the USA in 2013. Shortly after we had many requests to make custom shirts that cater to the St Patricks Day holiday. 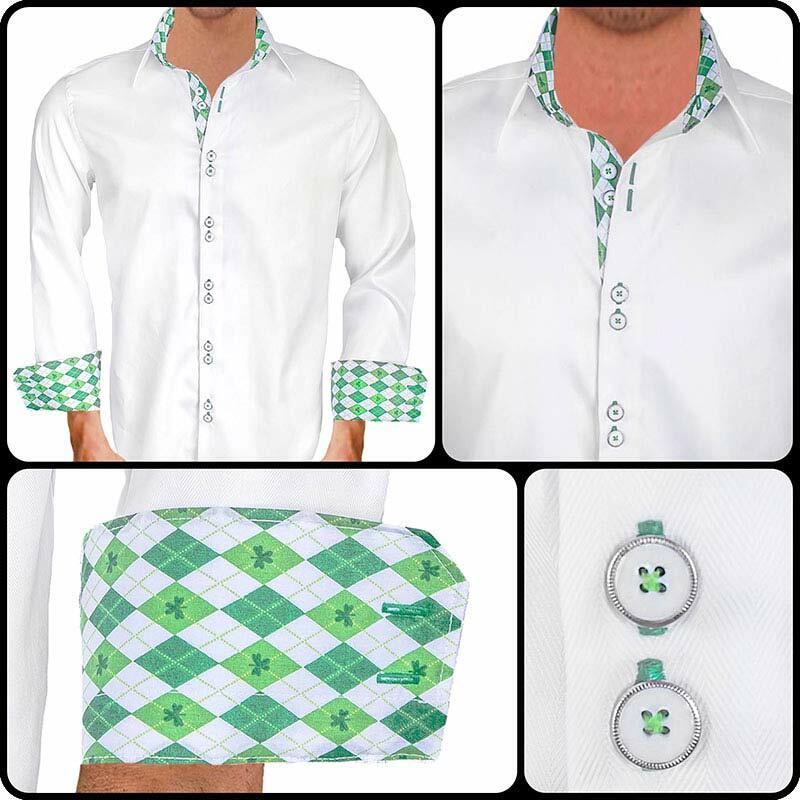 In 2014 we introduced the world’s first designer dress shirt designed especially for the St Patricks Day holiday. This shirt is below. 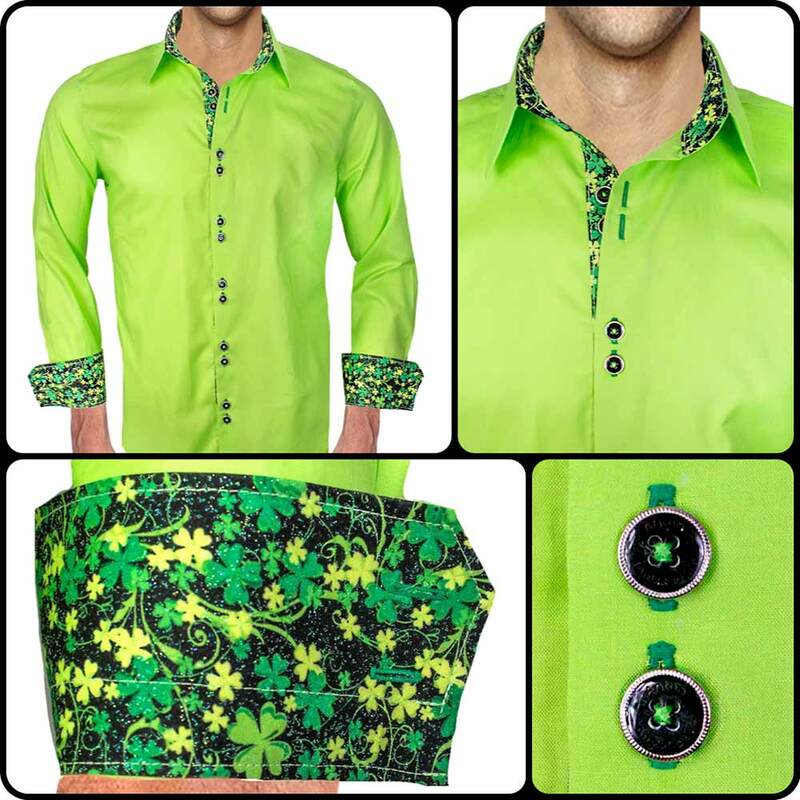 Then in 2015 we introduced another style option for men to have for St Patricks Day. This has a much more classic Irish feel to it. This one is White Italian Herringbone with green plaid including small clovers in the plaid. This shirt is below. 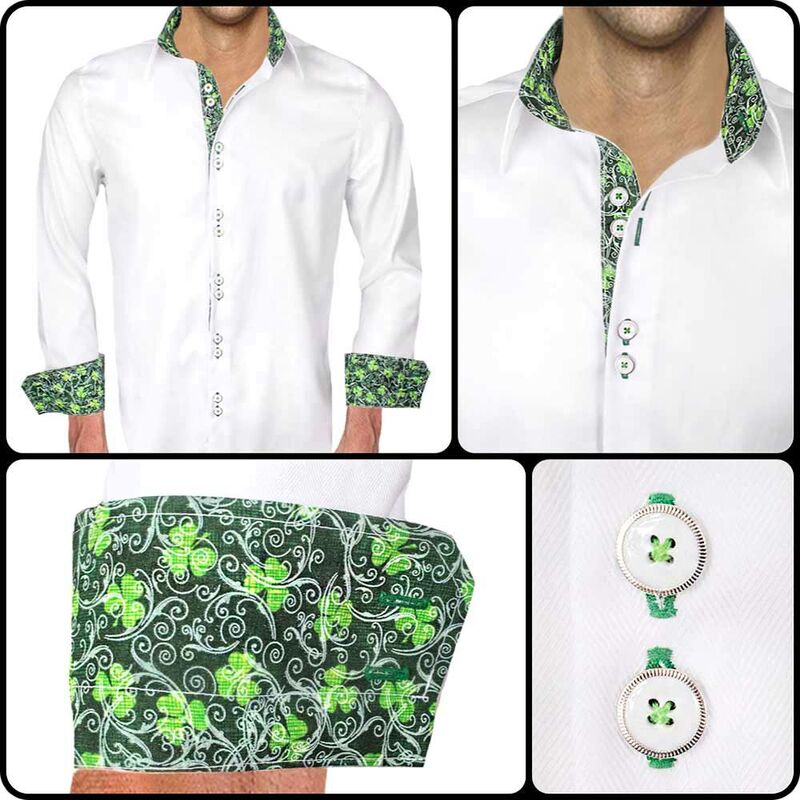 Finally, after so much excellent feedback and many other custom shirt tweaks, that we have made for our customers, we decided to make not one but three new St Patricks Day Dress Shirts! First, we did an Italian lime green supremo with a multi green metallic shamrock. Then we also did a White Italian Herringbone with multi-colored shamrock green contrast. 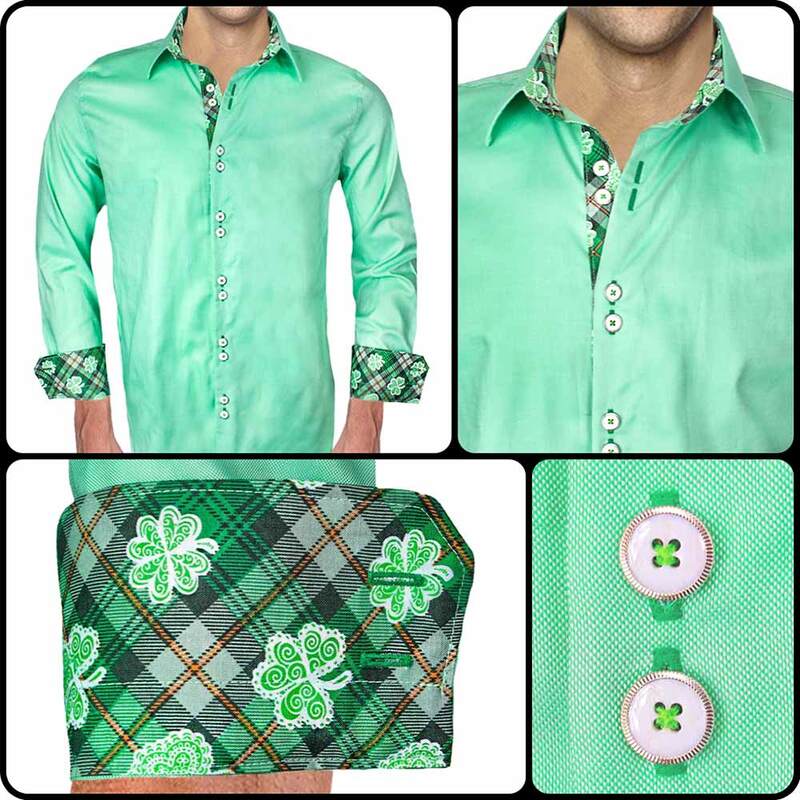 Lastly, we did a green Italian oxford with a shamrock plaid contrast. These shirts are all 100% made in the USA. We typically make and ship all orders within one business day. We also offer an overnight express shipping option. 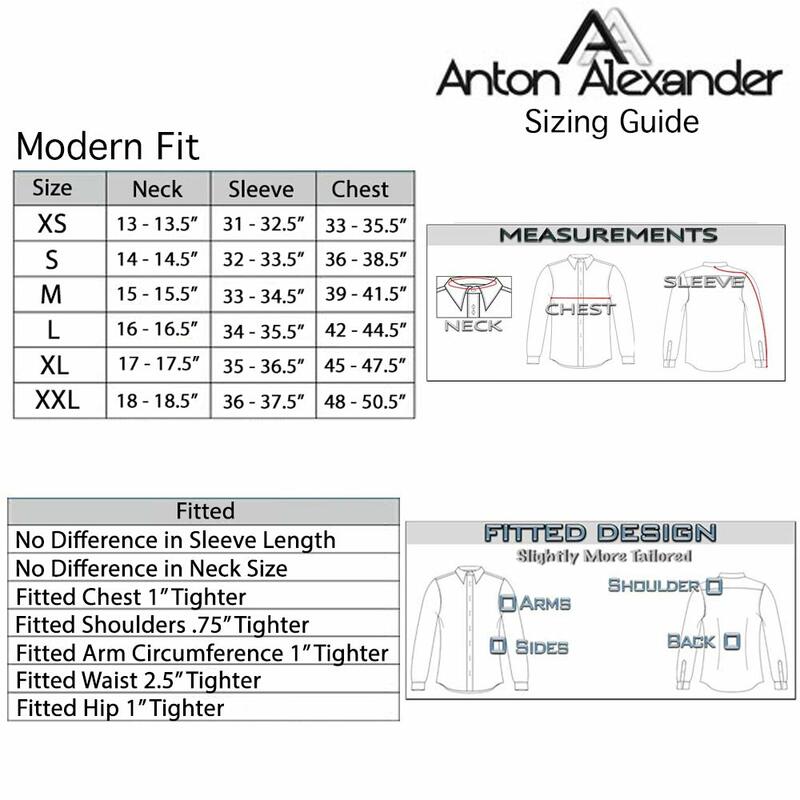 If you have any questions about our sizing, our size chart is below.